OmniSpear Has Upgraded! Come See Our New Office Space. OmniSpear, Inc. Has Upgraded! Come See Our New Office Space. 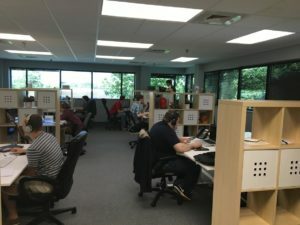 We’ve outgrown our old office space and have made a move up the the 2nd floor. By designing a new office layout from scratch, we have been given the opportunity to more than double our existing space while also giving ourselves room for continued growth. 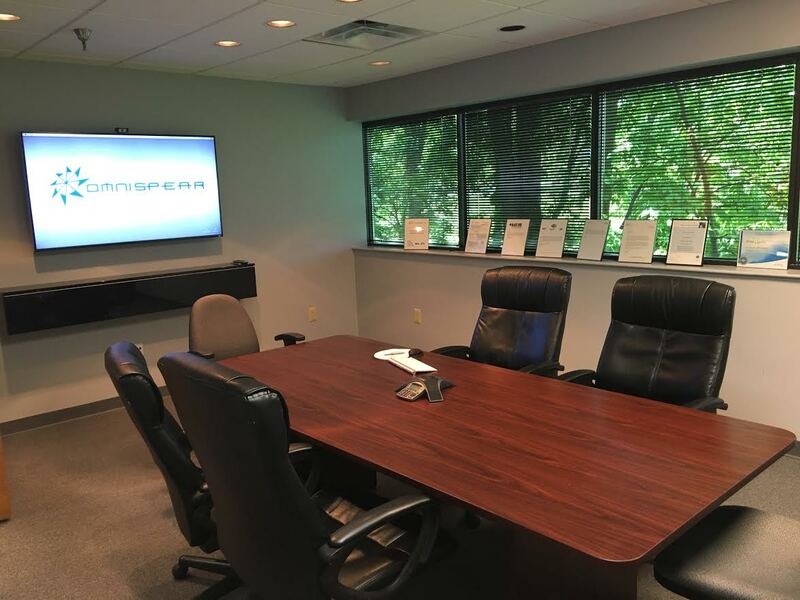 Some highlights of our new digs include an additional huddle room and lounge area for formal / informal meetings as well as a break room complete with bar and table seating. Our new space is more inviting and allows more room for departments to grow, as well as harness our internal communication more effectively. Our development team is no longer crowded together, but has a creative seating arrangement that allows for both group and individual work. 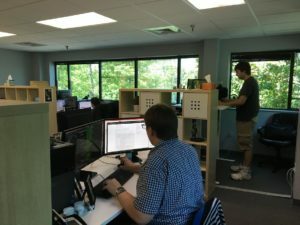 Our IT support team has a quieter space that provides them privacy for even better phone support and hardware work-space. The entire development team now has stand up / sit down desks as well, which has done wonders in helping keep them more refreshed and ready for action. 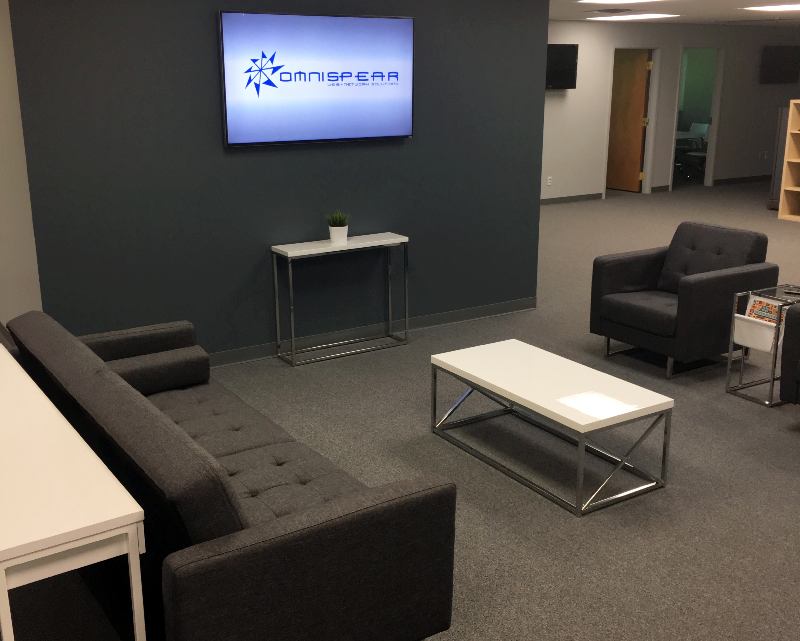 Come see our new office and we’ll give you a tour!